Nowadays the better part of our life is moving to the Internet. The global network is playing a very important role in all spheres of everyday activities. It includes the shopping, booking tickets, reading, surfing the social networks, etc. Also, the Internet suggests a great variety of job opportunities. These days a great number of works can be done remotely. Bookkeeping, programming, database administration, personal assistance, interpreting, and other similar tasks can be done successfully on the distance. This list is filled with new positions every day. Managers understand the advantages of using the remote employees. Offices do not need large spaces for working places. That’s obvious because the employees work on their own computers in convenient atmosphere and time and place. According to recent researches employees’ comfort and convenience influence greatly on their productivity at work. Correspondingly the more an employee is satisfied with the environment, the more convenient it is. Consequently, the greater results he or she may achieve. This practice allows socializing people with disabilities or those who have to stay at home for different reasons. For example, women with babies or those who take care of their relatives. At the same time, businesses save a huge amount of money, regularly spent on overhead. Have you ever faced with issues like paying rent on time, new equipment costs, the headaches of maintaining a staff and solving its problems, lack of dedicated space for your growing enterprise and a big need to move to a larger office? Do you have at least one “yes” to one of these points? It seems like virtual office may just be the solution for you. Virtual office definitely allows to increase productivity and produce a lower turnover rate, save money by eliminating the rent and cut down on commute time. Imagine that you have a chance to make an experiment and as a result, then turn it into a permanent situation. Assure you, you would discover that your company’s productivity increased, turnover decreased and your employees are happy! We have a great offer for you – we create a virtual office to present a professional image without the expense. How can we help you to provide a professional image? The most of our services range from simple receiving and making calls, telemarketing, market survey & research services to data entry, operating, virtual receptionist and secretary, bookkeeping and even simultaneous and consecutive interpreting services. Our professional receptionist will answer your line with your company name. The callers will talk to live person, not an automated phone system. They will get the solutions right at the moment, and most of all not next time or tomorrow. Your clients will sense the professional environment we create because their needs are met. Our well-trained multilingual staff provides services in English, Spanish and Russian. They will protect your сompany’s reputation with professionalism and competence. We will help you to spend your time efficiently growing the business. While we take care of the hassles of office management and solve customer’ issues on time you will take care of the most important things. There’s no office rent, no utility payments, no equipment and another associated cost. There are no more expenses that come with having a regular office space. So, all that savings affect your profit margin. As a result, it allows you to invest in growing your business and to make happy your beloved! 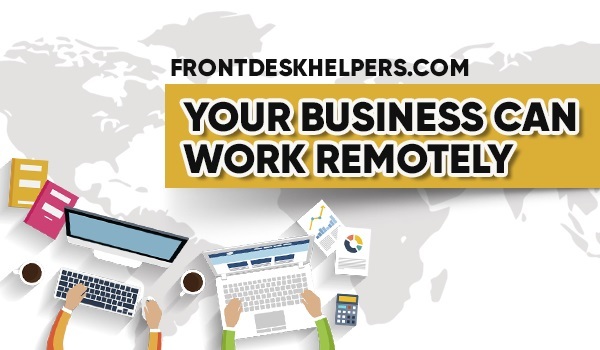 We are remote employees of virtual office call center services! To create complete marketing solution and promote well your business, also, we recommend you to visit FDH.cloud – https://fdh.cloud/order/beacon-mobile-technology-marketing-how-it-works – mobile advertising service and automation platform.